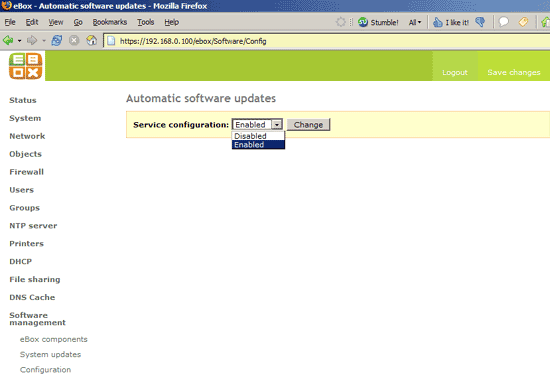 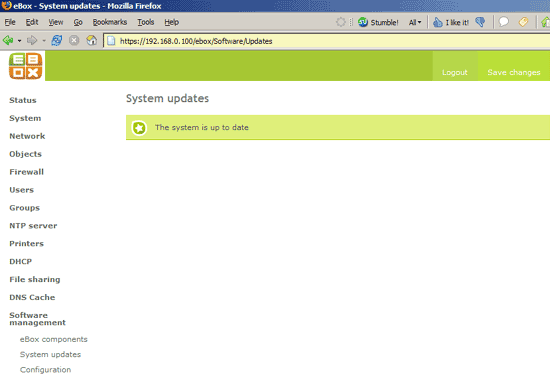 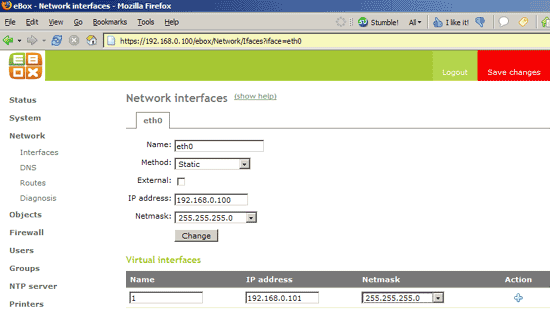 and you should see the virtual interface eth0:1 with the IP address 192.168.0.101. 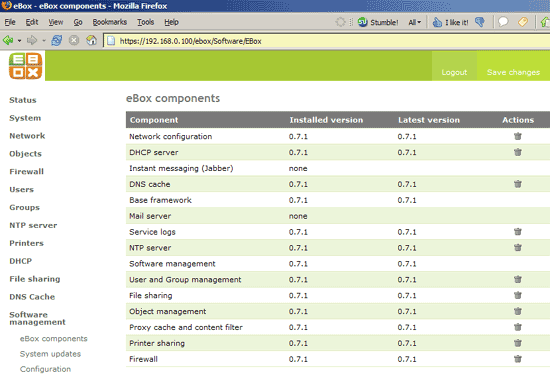 Please note: Under Network -> Interfaces, do not enable External as you will lose access to your eBox system! 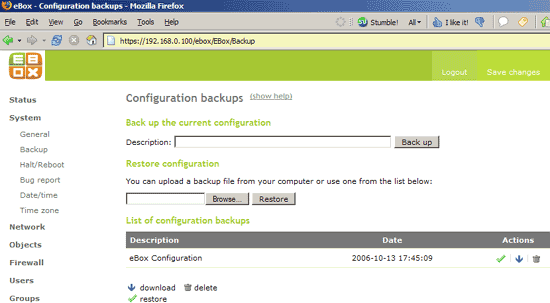 The External checkbox enables NAT for the eBox system which we don't need as the system is in the same network as our workstations. 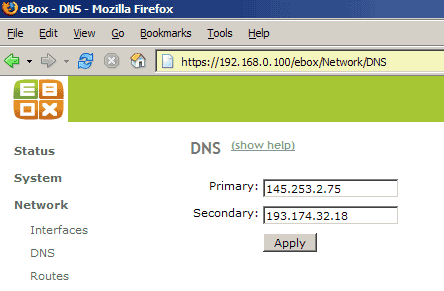 Under Network -> DNS, you can specify which DNS servers your eBox system should use. 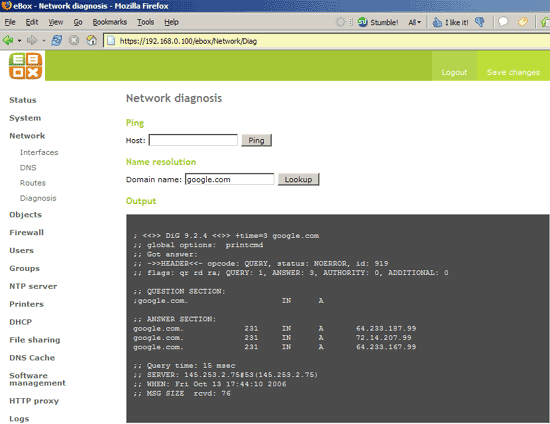 These nameservers will be saved in /etc/resolv.conf.